The number of evacuees has risen to more than 60,000 as a volcano in Bali resort island is potential to erupt, a senior official of disaster agency said on Tuesday. That compares to over 35,000 as of Monday as the seismic activity of Gunung Agung in Karang Asem district is continuously increasing. Indonesia has raised the alert level to the highest for the Gunung Agung volcano. "Volcanic activities keep rising as the movement of magma to the surface has been more intensive," Sutopo Purwo Nugroho, spokesman of national disaster management agency told Xinhua in a text message. The frequency of deep and shallow volcanic tremors and tectonic tremors have increased, he added. President Joko Widodo is to visit the displaced persons at evacuation centres on Tuesday, the official said. 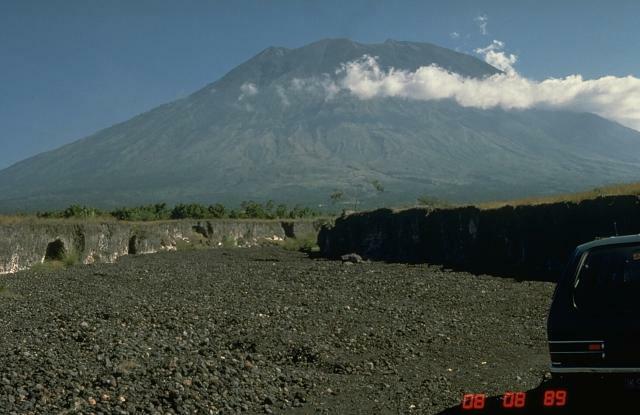 According to The Smithsonian Institute, increased seismicity at Agung, as well as the severity of past eruptions, prompted PVMBG to raise the Alert Level to 4 (on a scale of 1-4). The report noted that volcanic earthquakes (VA) began to be recorded on 10 August and shallow volcanic earthquakes (VB) began to be recorded on 24 August. Local tectonic earthquakes were also recorded and began to increase consistently on 26 August. PVMBG warned the public to stay at least 3 km away from the crater. On 13 September a climber observed a sulfatara plume rising from the bottom of the crater as high as 50 m above the crater rim. During 14-18 September four earthquakes centred around Agung were felt. On 18 September PVMBG reported that the number of VA and VB events continued to increase; the Alert Level was increased to 3. The exclusion zone was increased to 6 km, with an additional expansion to 7.5 km in the N, SE, and SSW directions. Elevations above 950 m were also restricted.